Various Artists – NEW 8.0 | Esc.rec. With the software that’s available these days you can have a full studio at home. And thanks to social media, your music can be heard all over the world. Ever more often young producers are making a name for themselves internationally before anyone in their own town has ever heard of them. Nieuwe Electronische Waar (N.E.W.) keeps their ears perked to discover and presents a new generation of talented producers from East Netherlands. These names you should definitely remember. N.E.W. is a platform and network for producers in Gelderland and Overijssel. Every year N.E.W. releases a new album with twelve tracks from producers they will feature prominently for the coming year. Generation NEW 8.0 consists of Alias Lou, Julien Mier, GameFace, Kalima, Knarsetand, Knotted Sheets, MSNTHRPX, Near Earth Object, Raymon Brugman, Sinewave77, Sam A La Bamalot + Asterisms, and Yoeri. In their music you can hear the influence of everything that is happening in electronic music at the moment. The dominance of the four to the floor time is long past, and influences are drawn from ambient, acid, dubstep, future garage, glitch, juke, and trap. Sam a la Bamalot and Kalima (formerly known as Radion) are represented with a track for the third consecutive year. Knarsetand, Near Earth Object, and Yoeri made their debut last year, and made strong follow ups. With eight new names a lot of new talent from across the eastern Netherlands is discovered. A professional jury made a choice from over a hundred entries to come to this selection of twelve tracks. The jury included amongst others other Erik Delobel, programmer of Hedon in Zwolle, and Harco Rutgers, owner of the record label Esc.rec. This draft of producers will be promoted by NEW all year long in many different ways. First of all there’s the release of the compilation album NEW 8.0. Free digital copies are available through nieuweelectronischewaar.nl and record label Esc.rec. takes care of the online distribution. Foremost, these producers will get the chance to perform at showcases presented by N.E.W. at a number of club nights and festivals. The album will also be released as a CD, available for free at the release parties. On Saturday, March 2, there is a release party at Het Burgerweeshuis in Deventer, and on Saturday, March 9 at Doornroosje in Nijmegen. The selected producers will perform perform both as dj’s and with live sets. Next to releasing their work and offer them a stage to perform, N.E.W. also offers these affiliated producers a chance to develop. 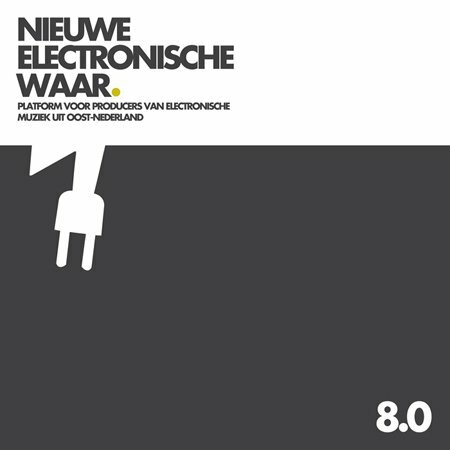 At the site nieuweelectronischewaar.nl producers in East Netherlands are able to create a profile, share their latest productions with other members and offer each other feedback. All new tracks are considered for the next compilation release, NEW 9.0. NEW is a platform for producers and electronic music from East Netherlands with the specific goal to discover and develop new talent in this field. There are many talented producers in East Netherlands that otherwise would not be heard. NEW is devoted to the development of these producers, both in the studio and on stage, by offering showcase performances, organizing workshops and releasing a new compilation every year. NEW is a collaboration between productiehuis ON, Het Burgerweeshuis and Doornroosje and has been made possible with the help of the municipalities of Nijmegen and Deventer and the province of Overijssel. NEW Partners: Productiehuis Oost-Nederland, Het Burgerweeshuis, Doornroosje & Merleyn, Esc.rec., Hedon, Atak, Gogbot, KCG, Artez, Eclectro, Cultuurwolven, 3voor12 Overijssel/Gelderland.